As a family grows in size, sports cars and two door coupes are no longer practical for everyday use and you will need to find a minivan with more seating and storage. However, buying a minivan can be difficult when you consider the many options currently available including many used models no longer in production. For Van Week at Carsforsale.com, we’ve made a list of the most important things to consider when buying a minivan. 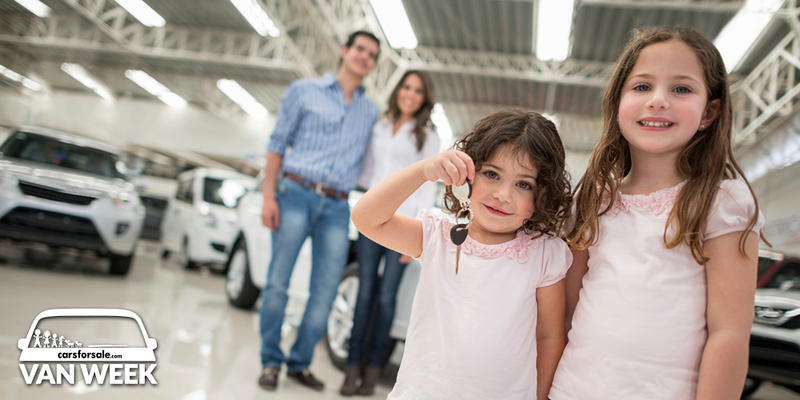 Many are likely looking for a vehicle for a growing family. A large SUV with third row of seating is consideration. However, vans have many features that make it more suitable for families. Minivans have sliding doors which make it nearly impossible to hit other vehicles in the parking lot with the kids quickly jumping in and out. Also, a minivan is designed to have more storage space than SUVs. The sightlines on minivans are lower than SUVs making it easier for kids to look out the large windows rather than constantly asking “are we there yet?” The increased fuel economy of a van over an SUV is something to consider. According to FuelEconomy.gov, the average minivan gets 19-24 MPG (combined city and highway) while an SUV can be much less. Minivans are also less expensive to insure than other vehicle more flashy vehicles which equate to more savings. Go out and really get a feel for what features vans have. These options might amaze you and some you might not know exist. Some come standard on all models, while others are only available on the high-end models. Balancing what your family needs with your budget may be tricky. 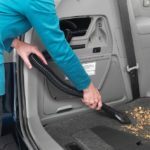 – Who wouldn’t want a built in vacuum in their van? This is only available on the Touring Elite. – It’s nice to quickly be able to store all the books, games and toys to get them out of the way. – Your kids are the most important thing to you and keeping them safe is likely a very high priority. 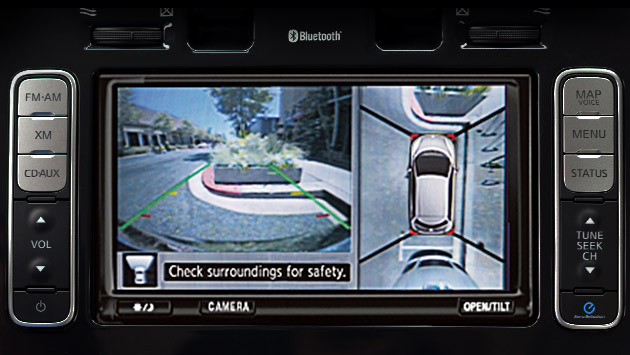 – The view from four side cameras are placed together and give you a simulated view from above the vehicle. – Never fight over the controls again when one thinks it’s too hot while another passenger complains of it being too cold. Entertainment Centers: Are They Worth the Added Cost? We’ve left off drop down TV screens, DVD players and all things entertainment or video related out of the “features to consider” portion. We thought that deserved a topic all on its own. Much like the vacuum cleaner, it’s hard to say no to such a cool feature but you must also consider the added financial cost. We aren’t saying that entertainment systems and TVs are bad, just consider if they are worth it. Your kids may enjoy watching their favorite morning cartoons before they hit kindergarten. Experienced parents will tell you that iPods, iPads and handheld gaming devices will soon keep them busy for hours during long drives. It’s much less expensive to get a minivan with a 115v power outlet to plug in electronics. Note: We aren’t saying they are bad. We’ve looked at a lot of the options and quite like the 10 speaker JBL sound system with voice activated navigation and rear Dual View Entertainment systems with 16.4-inch screens on the Toyota Sienna Limited. 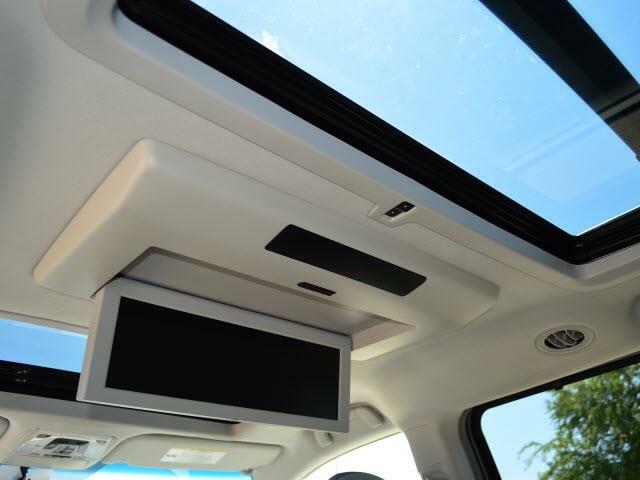 With the dual moonroof, passengers in the back can feel like they are in a drive-in movie theater. Once you understand these three things, it will help you go from the 20 minivan models that are available to only a few that you want to look at more closely. Minivans like the Kia Sedona, Volkswagen Routan and Ford Transit Connect all have seating for seven passengers. 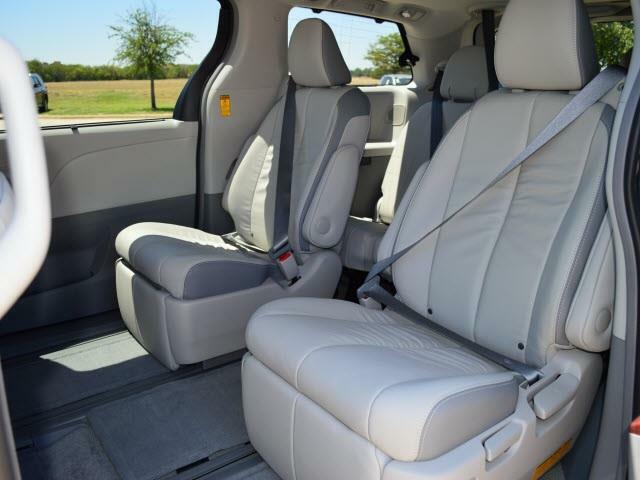 The Toyota Sienna and Honda Odyssey offer seating for 8 which means no 2nd row captain’s chairs. Seating for more in nice, but you may like the comfort that 7 seat vans offer for 2nd row passengers. Consider that amount of driving and the type of driving you will be doing. Are your miles going to be around town taking the kids to and from soccer practice? Or do you take a lot of road trips to visit grandma and grandpa? Over the life of the minivan, there will be a difference in 25 MPG and 27 MPG and a major cost savings. A minivan like the 2015 Honda Odyssey gets 28 MPG on the highway but only 19 MPG for city driving. The Nissan NV200 gets 25 MPG highway but 24 MPG city. 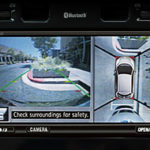 Find the best to fit the type of driving you will be doing. 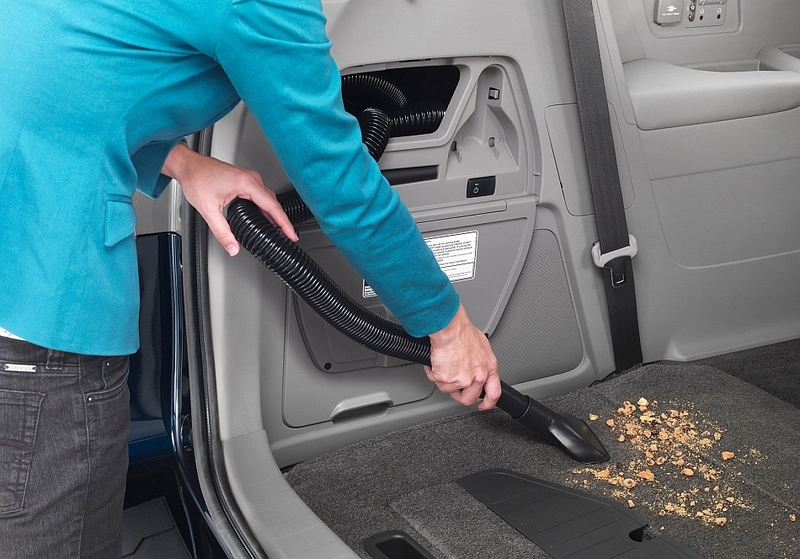 Minivans are full of storage from double glove box, deep center console, in-floor storage and fold flat third row seating to expand the truck space. Toddlers turn to teenagers in a blink of an eye and storage needs change from books and strollers to tubas and hockey sticks before you realize it. Consider the longevity of the van and find one to fit your needs for many years to come. No matter what the reason is for you wanting to buy a van, make sure it is an informed purchase and you find one that completely fits your needs. Carsforsale.com has over 17,000 dealers within our network that are willing to help you find a minivan that’s right for you. Start your search today.